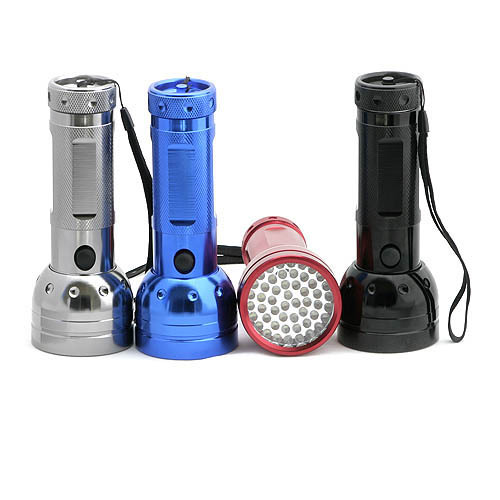 This heavy duty nylon Holster will fit most 41 to 52 LED Flashlights or flashlights up to 1-1/2" / 38.1mm diameter at body or cap. It is made from heavy duty nylon with heavy duty Velcro to keep the flashlight securely in the holster. The holster can be put onto the belt without undoing the belt buckle. Velcro keeps the holster snug on belts of any size. A metal snap keeps the holster secure on the belt. 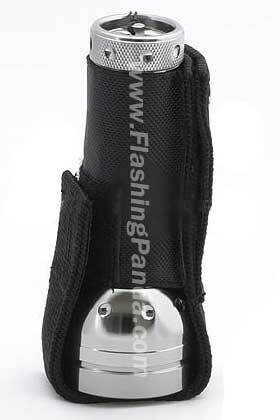 This holster is open on the bottom, allowing for any length flashlight.